The German tourism industry wants your business. The country is diligently working to make Germany a place where everyone can travel with ease and without barriers. Recognizing that people with disabilities and the aging population represent a huge untapped market, the Federal Ministry of Economic Affairs and Energy launched a project to create accessibility standards and a certification system for the whole nation. Photo credit: German National Tourism Board. Emden/East Friesland: a member of the station staff helps a traveller in a wheelchair board the train using a height-adjustable ramp. 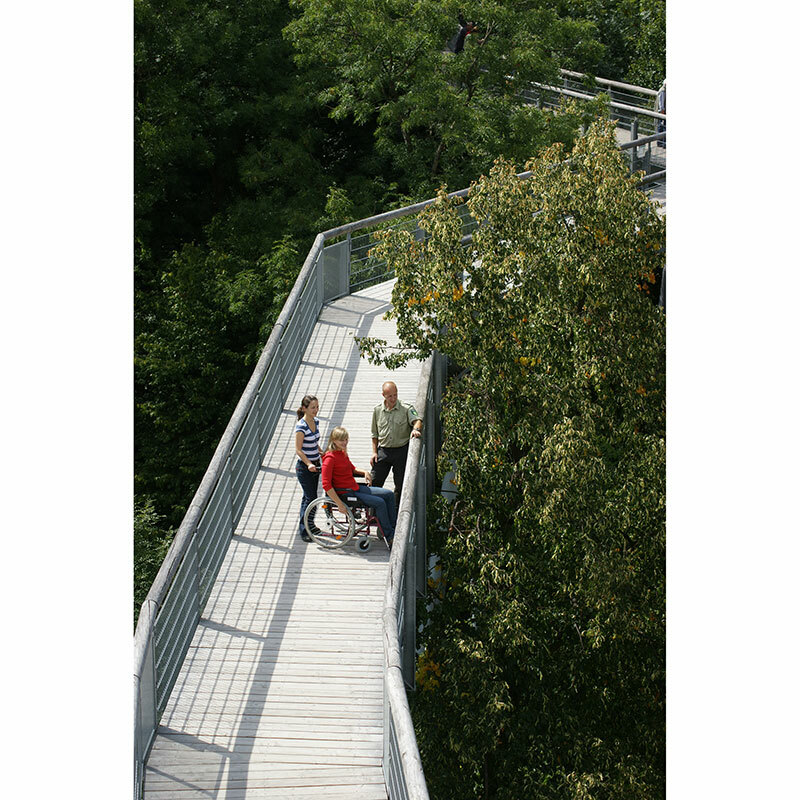 Germany developed criteria to evaluate the accessibility of their tourism products and services. The “Tourism for All” labeling is an information and evaluation system ensuring high cross-industry standards. Businesses do not self-report. Instead, they are inspected by trained certifiers. Once a business has been verified, it can display a series of pictograms that let guests know if the property meets the criteria for a range of special needs. Olaf Schlieper, with the German National Tourism Board, said the new system was implemented in 2014 and the country has already certified hundreds of tourism partners. Germany is developing a central database on all of the country’s accessible tourism products and services. Anticipated to be online by the end of 2017, the new database will be a valuable travel tool. Using a single source, travelers will be able to search for detailed information on the accessibility of hotels, restaurants, museums, airports and more. Photo credit: German National Tourism Board. 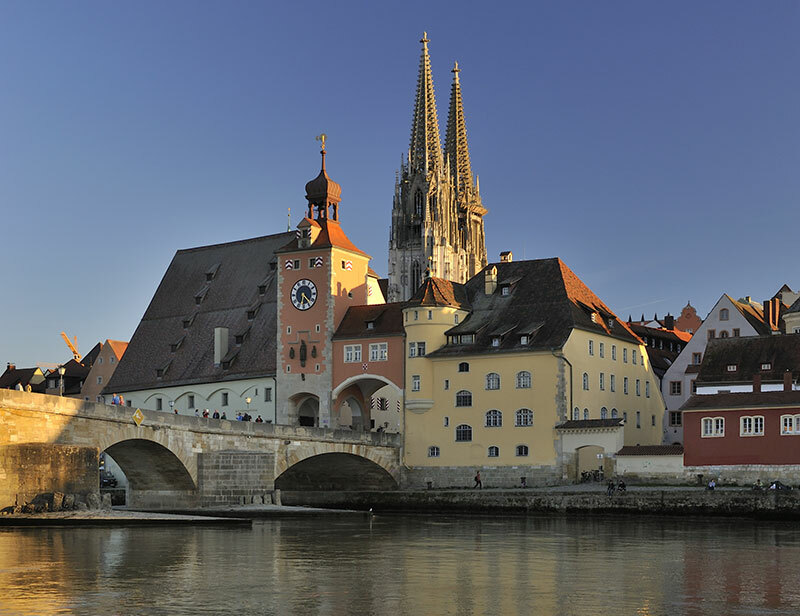 Regensburg's old stone bridge on the Danube River. A handy resource available now is the online brochure, “Enjoy with Ease,” which describes 185 accessible things to do and see in Germany. Imagine a vacation spent exploring a medieval city or taking a tree top hike in a forest. 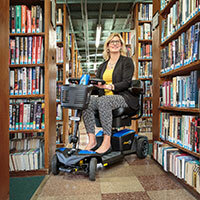 Many cities, such as Berlin, Frankfurt, Saxony, Munich and Brandenburg have a wealth of accessibility information already online. Begin planning your trip to Germany by visiting the country’s official tourism website.